Skrill is one of the most preferred online payment solutions for depositing and withdrawing from betting sites. The site offers a lot of local options customized for the customers in Europe countries. 2) Only 1,90% for deposits with bank card. You can transfer money to other Skrill accounts at 1% (up to maximum EUR 10). For example you can send EUR 2 000 to a friend. You pay 1% from EUR 2 000 is EUR 20 but the maximum is EUR 10 so you pay a EUR 10 fee and for your friend it is absolutely free. 1) EUR 10 annual fee. 2) EUR 1,80 fee for cash withdrawal at ATM. the top Australian Sports Bet Destinations. The Skrill Prepaid Virtual Mastercard® allows you to use the funds in your Skrill Account to make online purchases wherever Mastercard® is accepted. As it is a virtual card, it cannot be used offline or at ATMs. 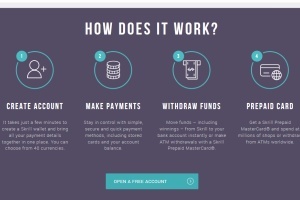 Learn More: How to Get FREE Skrill Prepaid Virtual Master Card?